Are you thinking about marriage, but afraid of ending up in the divorce statistics? Are you wondering if you're ready and able to make a public, lifelong commitment? 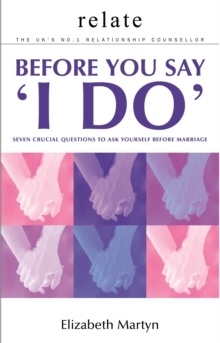 Before You Say 'I Do' recognises that marriage takes courage, energy and self-knowledge, and leads you through a series of key questions about your relationship to help you discover if you have what it takes to make your marriage a lifelong success. These include:--What are your expectations of marriage?--What does commitment mean to you?--Can you be sexually compatible for a lifetime?--Do you both want children?--How will you cope with in-laws? 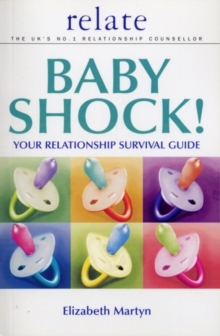 Drawing on the expertise of Relate counsellors, and supported by checklists, questionnaires and case histories, this book will help you to examine your hopes and fears about marriage. It will lead you to a deeper understanding of how your relationship works and ultimately give you the insight to build the bedrock of a marriage with real staying power.